I am looking for someone to redesign a label on an existing theme. A label is attached here as draft. 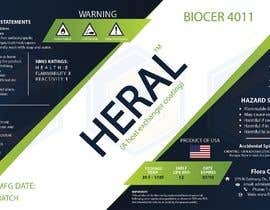 The name has to be changed to HERAL. 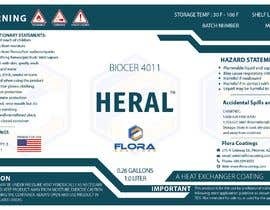 Change text BIOCER 3012 to BIOCER 4011. And, "an invisible protection" to "A heat exchanger coating". Other text remains same. A complete redesign is needed on similar theme with changed color. I will need rich CMYK colors exported PNG files and Ai file along with used fonts in sizes: 4x5 and 8.8x5 inch. Company logo will be provided if your design is selected for final output. i can do like the same and ur changes...can you msg me?